Dubstepforum.com • View topic - Free drum samples and a music contest on 99Sounds! 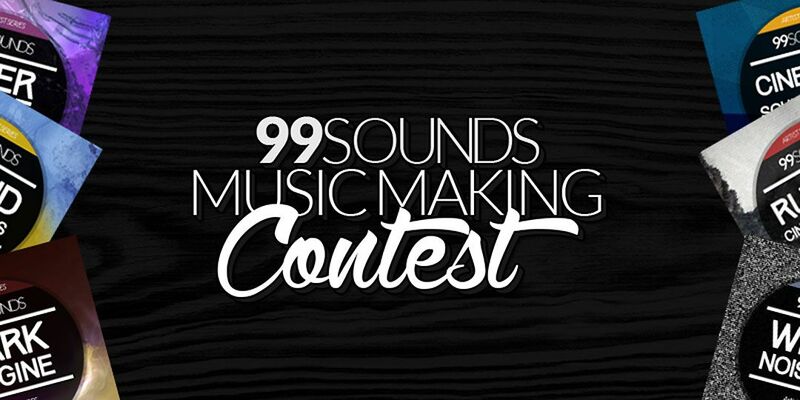 Free drum samples and a music contest on 99Sounds! There's also a music contest going on, which was launched last night. The idea is to create a track using only 99Sounds samples. You can use any DAW and effects, but using synthesizers and additional sample libraries is not allowed. Using a sampler is perfectly fine. There are tons of great prizes involved, such as Reason 8, Effectrix, Cableguys Bundle, etc. It would be awesome if some of you guys joined in! BPB - Free samples & VST Plugins! >> Best FREE Drum Machine Samples! Re: Free drum samples and a music contest on 99Sounds! Will def give it a shot! Ur one of my fav freeby sites, keep it up!!! No, really, it is over. No, really really, sounds cool. KK - can we use granular devices? LIKE say Alchemy, or Absynth to manipulate the samples? In all honesty, I'd like to enter that contest! Cheers guys, thanks for the kind words! @nowaysj Well, I had to limit the usage of such devices because not everyone has access to them. You can use any DAW and any effect out there, but as far as instruments go only basic sampler features are allowed (basic pitch controls and envelopes + LFOs for the amplitude and filters). I know this may be a turn off to some people, but these limitations can be a great way to change your usual workflow and try something different. Oh man this site is crazy good... major props! WolfCryOfficial wrote: Have fun on your musical campaign to hell.